This is the wedding of Corrie & Adam. 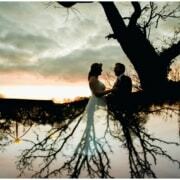 They were married in a civil ceremony at The Great Barn last July. 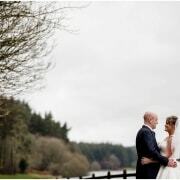 It feels like there are miles and miles of smiles throughout this beautiful imagery, captured effortlessly by Lee Maxwell Photography. This beautiful couple are Katy & Rich. 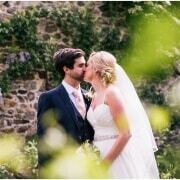 They were married in the Great Barn last September and, as you will see from the images captured by the very talented Rebecca Roundhill, it was a day filled with sunshine and laughter. Our regular visitors to the blog will know how much we love a pooch! We have two gorgeous flat-coated retrievers of our own, who often steal the show at weddings. So when we got these wonderful photographs from Freckle Photography, of Natalie and Dan and their four-legged BFF, we just had to share them with you. This blog post is the third in our mini series of look-backs from Rockrose Photography. It was very difficult finding our favourites from the wedding of Josie and Jumbly hence why there are so many to look through. This lovely couple are called Fran & Josh. They were married at The Great Barn on the 2nd June this year. 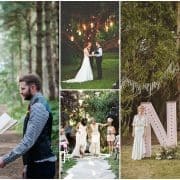 They opted out of theming their wedding day and went for a truly informal celebration with vintage colours and a relaxed vibe. This wonderful couple were married at The Great Barn Devon last month, ably assisted by their very handsome Wire Fox Terrier called Spike. Andrew gave us a quick run down of the day… “We couldn’t have wished for a better day, plenty of sunshine but just enough cloud to keep everyone cool. As you can imagine, the Medieval costumes were quite heavy and with too much sun we’d have been suffering. Vicky and Bob were married at The Great Barn in March this year. Spring was well and truly on its way and the bridesmaids with their gorgeous red wraps certainly added a splash of colour to the celebrations. 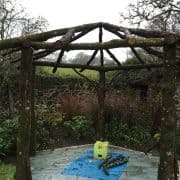 So that our brides can get married in the garden we are building a beautiful gazebo. We’ve used oak which has been cut from our woodland. The roof will be made from individual shingles from larch, sourced from a timber yard in the Teign Valley. Next step is to have it licensed and then we are good to go. The plan is for our brides to make their entrance through the little arched gate in our courtyard and walk the length of the lawn….on a fine summer’s day what could be more perfect! The Difference Between Civil and Celebrant Ceremonies – We discuss the differences between civil and celebrant weddings with wedding celebrant, Frances Cave of Fanfare Ceremonies. We also chat through how to personalise your ceremony with handfasting, jumping the broom and much more. Never miss a blog post. Subscribe to The Great Barn Devon's news feed today. Follow The Great Barn Devon!